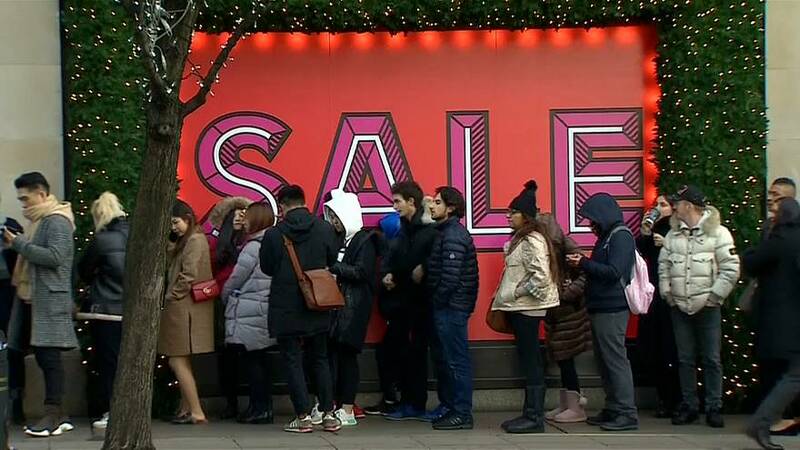 After the Christmas festivities in Britain, the frenzy of the bargain hunters. Large crowds have been hitting the high street for the traditional Boxing Day sales. Some newspapers report that this looks set to be the biggest shopping day ever, with the equivalent of a record five billion euros (4.5 billion pounds) expected to be spent. The Independent newspaper reported that "half of all adults" were expected to hit the shops. It said the Boxing Day figures would be "almost double Black Friday’s £2.60 billion and almost treble the £1.67 billion spent on the last Saturday before Christmas". Discounts of up to 90 percent were reported, with shoppers queuing from midnight in some places. Other surveys, however, suggest Boxing Day sales will suffer, with more than a third of shoppers saying they chose to spend in earlier Black Friday sales instead. But one woman queuing up outside the Selfridges store in London said: "It is worth it, because you can get more cheaper, and we are waiting already a long time. We're really prepared for this day." The economic impact of uncertainty over Brexit is weighing on the minds of many, but some experts say the country is proving more resilient than feared. The Confederation of British Industry reported steady retail growth heading into Christmas, albeit weaker than expected. Official figures also show household spending helped Britain's economy grow a little faster than expected in the third quarter, but it is still considered by some to be lacklustre.